With over 10 years of hairdressing experience, and being supported by many customers, regardless of gender, because of his originality and high quality techniques. His ability to design a hair style to match each individual, with skills in all genders from a mode cool style to a soft feminine style. Always conscious of the trends, and will always offer the latest style for you. She has extensive experience in Tokyo. All clients are loving the hair style which she created. She won Vidal Sasoon hair competition in 2006 then she had an opportunity to learn more technique in London. She will suggest hairstyle best match for your lifestyle and everyday wear. Giving a little spice to your beauty life with the hairstyle is her great pleasure. She has worked as a hair dresser in Japan for 13 years and participated in hair style competitions many times. She is familiar with making feminine style. Her kind consultation would satisfy you with suitable hair styles. She is especially good at perming and making bob style. Saki is popular amongst both her male and female customers through her naturally glowing soft atmosphere and excellent taste in fashion. She aims to provide a heart felt service that allows her customers to escape from the everyday life and make delightful memories during their time at the shop.Saki also has superb talent in updo hairstyles that draws out feminine qualities of each individual such as charming yet mature looks. Following the service of more than 10 years in Tokyo 's most fashionable town, Omotesando, Daigo mostly specialises in hairstyles that is reproducible and also excels in stylish bob style. Furthermore his excellent skills has allowed him to win in a competition held by Japan's most popular beauty website .His highly intractable and uplifting personality ensures you have a memorable experience at the salon. Megu has worked at the Shinka in Roppongi, Tokyo. She would like to offer her best service to make customers feel comfortable. Her friendly atmosphere will provide feel free to talk and relax time to customers in SHINKA. Kaede offers relaxing atmosphere in our hair salon with her blight smile while she is working.She enjoys her job with taking good care of her heart to customer. Shion has experience as he worked in a salon in Tokyo prior to coming to Sydney. He makes use of his experience to provide excellent service and gives a big smile to all customers. His customer service and high skills in his work has received great feed back from customers and is always working for the best results. Rio will welcome you with a smile. 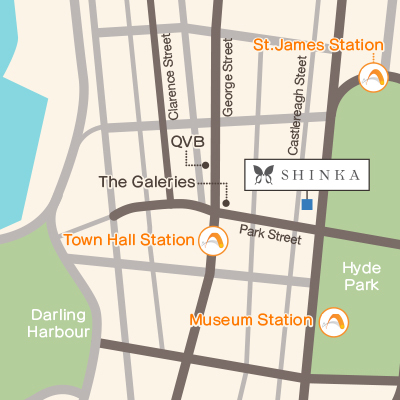 She would like to offer her best service to make you feel relaxed and comfortable in SHINKA. 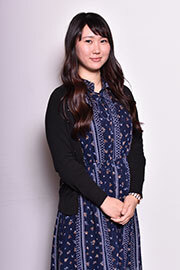 Ayumi demonstrates a high level in her hospitality skills and creates a relaxing environment for all our customers. Her attention to detail supports every individual from arrival to departure and offers great comfort during the time spent here. 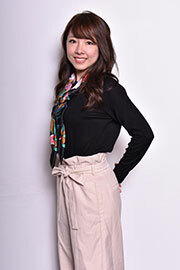 Ayaka will welcome you with smile, polite and kind response. She is good at listening to customers and telling their requests to hair designers precisely, thus she will support customers with her excellent hospitality skills.